Located in the exclusive Tuxedo Park neighborhood of Atlanta, 3497 Woodhaven Road NW represents a comeback for high-end luxury homes. 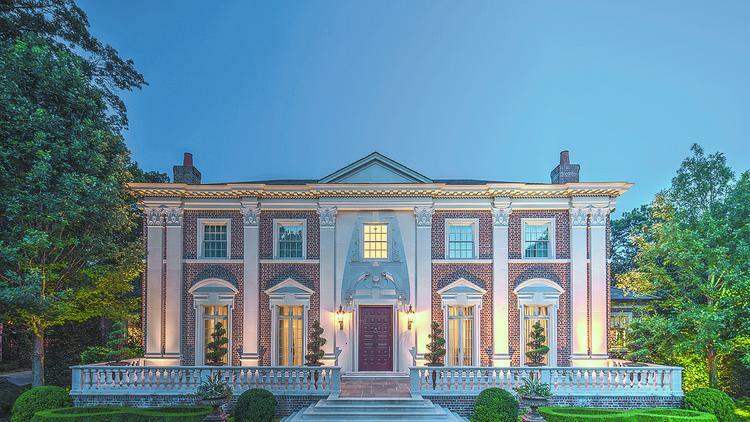 The traditionally styled 9,014-square-foot home with its front columns is set back from the street behind gates offering residents privacy and seclusion. “The three winning attributes of that home were its location, its privacy from the road and from neighbors and the floor plan,” said Michael Rogers, president, Dorsey Alston Realtors. The buyers were seeking a home that offered luxury, as well as high level of livability. In addition to an expansive home built in 2005, the property also offered a large wooded backyard on a two-acre lot. Within weeks of being placed on the market the home sold for $5.079 million. While the real estate market has experienced significant recovery among lower-priced homes, the luxury market has been slower to come back. In fact, the number of homes sold in the $3 million to $4 million range was approximately the same during 2014, but sales of properties above $4 million rose almost 300 percent — although the total number of properties was small, according to Rogers.